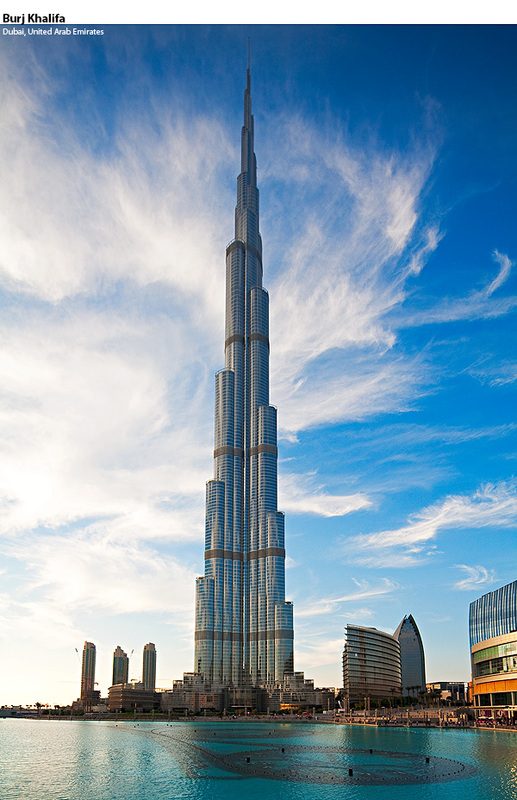 Officially the tallest man-made structure on earth, with over 160 floors and standing an impressive 828m high the size of this building is just mind-boggling. Standing as far back as I could in the waterpark at the base of the tower outside the Dubai Mall I could barely get the building into frame using a super wide-angle 17mm tilt-and-shift lens on my Canon camera, THAT’s just how big this building is! Taking 5 years to build the tower was officially opened on 4th January 2010. Designed by SOM Architects in Chicago USA, the tower is owned by EMAAR Properties in Dubai and cost some $1.5 billion to build. One thing is certain, I’m certainly very pleased that I’m not on the team that has to clean the windows on a building this high! You work never stops to amaze me. You have a great eye and you get to some pretty cool locations. I might have to come to Dubai to get some shots for a project I want to do. Photos from the windows of the best hotels in the world. The idea is to travel the world for free staying at the best hotels for free and having a ball. Ah I can dream hey! Wow, what a big building.